Ducati is working on a new gearbox to try and emulate Honda's impressive seamless shift system that the Japanese factory rolled out in 2011. 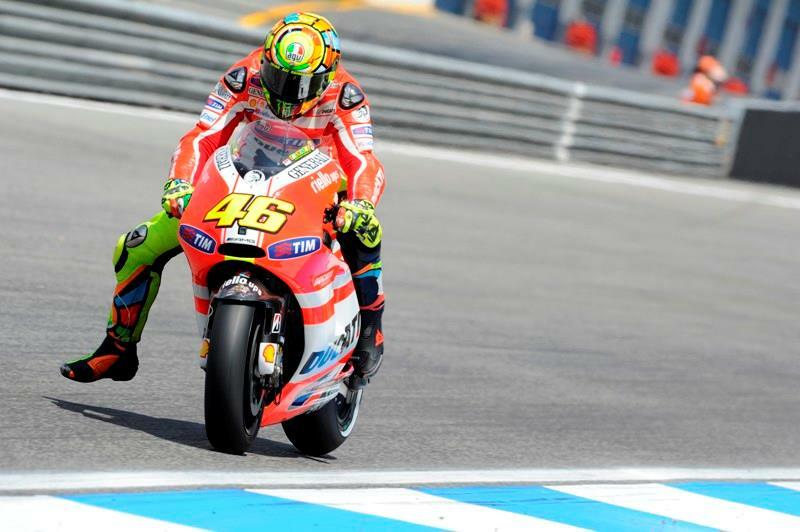 The gearbox development is part of an on-going major upgrade for the GP11 as Valentino Rossi desperately tries to turn the Bologna bike into a consistent winner. Rossi tried a new engine and chassis in Estoril on Monday, but the new gearbox is some weeks away from being ready to track test, according to Rossi’s Aussie crew chief Jerry Burgess. "It is a long job with such a significant change inside the gearbox. But it is something that is out there. You and I could go and source the stuff to do it. It’s not rocket science. But from the thought process to the design process to the test process is long winded," said Burgess. Honda's new gearbox has improved upshifts for Casey Stoner and Dani Pedrosa but Burgess has again scoffed at Rossi's assertion that the HRC system is worth as much as 0.4s a lap. "If it is that good I could go racing again," laughed Burgess. "It is clearly not that sort of advantage. There are a lot of areas to refine on bikes these days and certainly the shifting is an area that has been overlooked for a number of years. Just looking at gearboxes, Honda always had a very big gearbox, so the processes in that gearbox happened quite slowly even compared to a Yamaha gearbox." "We made some big improvements to the Yamaha, which we could knowing the areas of the bike that wasn’t exactly the most powerful. So you have to look at other ways of reducing time and that’s your enemy on the track. With the Ducati, we have to move on all areas of the bike and we have to make some big steps."